Don’t hold me to this, but I think my desert island ingredient would be lemons. It would be more convenient if a lemon trees actually grew upon said island — then garlic would be my default ingredient. At any rate, I use lemons nearly every day. I can’t image cooking without them. Often, when I think a dish needs salt, what it really needs is a good squeeze of lemon. This is especially true of stir fries, pesto, and many soups. Lemon also provides the much needed brightness in hummus, tapenade, and muhamarra and so many other tasty dips. How many cookies, pies, cakes, and tarts are improved by a squeeze of lemon, a bit of lemon zest, or a combination thereof? 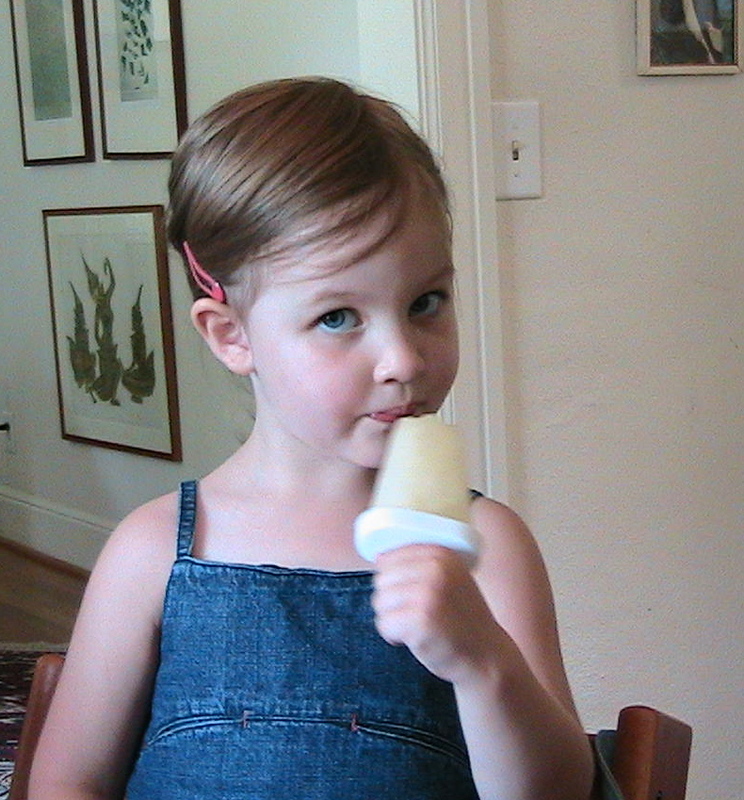 And, these days, I’ve been squeezing even more lemons than usual — lemonade popsicles are all the rage around here. Any of these foods would be welcome on an island, deserted or not. Plus, they all stave off scurvy, which, as we all know, can be a bit of a problem for seafaring types. Here’s a quick recipe for lemonade, whish is so ridiculously refreshing on a hot summer day. It comes from The Hot & Hot Fish Club Cookbook by Chris and Idie Hastings. For those of you who aren’t familiar with The Hot & Hot Fish Club, the venerable Birmingham, Alabama, restaurant, let me just say…”wow.” Its executive chef was nominated this year for a James Beard Award for best chef in the Southeast. He deserved the honor. Last weekend, Jim, Mimi, and I enjoyed a meal there that was nothing short of spectacular (unfortunately, I forgot my camera, so no photos). The tomato salad I ordered was simple and perfect: dead ripe tomatoes — deep, dark, red and juicy as can be — layered between a kind of deconstructed succotash. The salad was surrounded by bits of fried okra, and topped with a piece of bacon. It’s a dish that could stand up next to any dish from any fine restaurant in the world. In fact, it could handily stare down any dish from any fine restaurant in the world. Assuming, of course, that plates of food can stare. Akward metaphors aside, the food was fabulous. Jim got the wonderful quail as a very rich appetizer and then shrimp & grits, which just about knocked his socks off. The wild caught Gulf shrimp was sweet and succulent; the grits were creamy and flavorful. In addition to their justifiably famous tomato salad, I ordered the vegetable plate, which featured 5 different vegetable dishes, including a truly luscious corn salad as well as fried orka that Mimi ate like popcorn. I was a little reluctant to share. Like any restaurant worth its salt, H & H is interested in locally sourced ingredients and really pioneered farm to plate dining in Birmingham. I bought their cookbook back in January and have spent several pleasant hours pouring over its gorgeous pages, but the only recipe that I’ve used thus far is one for lemonade. There’s a reason for this. The recipes are organized by season, and I was so attracted to their Summer dishes that I’ve been waiting until the requisite produce was in season to try them out. My day has come! Look for several recipes from the H&H cookbook this Summer. In the meantime, I offer the promised lemonade recipe, which is delicious both as a beverage and in frozen form. Enjoy! Combine the lemon juice, sugar, water, vanilla and salt. Stir until the sugar dissolves. Refrigerate immediately. 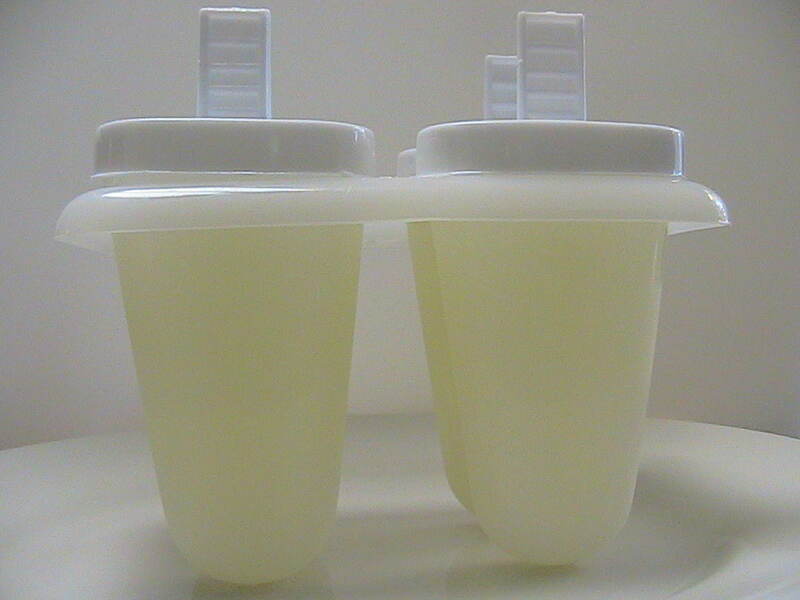 Serve over crushed ice or freeze in popsicle molds until frozen solid.